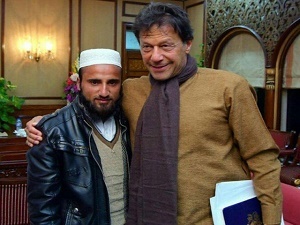 Prime Minister Imran Khan once again hailed polio worker Irfan, whose video trudging through deep snow to immunise children in the country’s northern areas recently went viral, and thousands of other polio workers as heroes who reach out to children with polio vaccines in extreme weather conditions. “This dedication is what will enable us [Pakistan] to achieve our goal of a polio-free nation #SalamPolioWorker,” Prime Minister Khan continued in his tweet. On Wednesday, the prime minister met Irfan and other polio workers who rose to fame after braving Swat’s snowy mountains to immunise children. Focal person to PM Khan on Polio Eradication Babar Bin Atta and Health Minister Amir Kiyani were also present in the meeting that held at the PM House. A strategy to eliminate the debilitating disease was discussed in the meeting.